One size fits most with elastic band, fitting from XL to 3XL. 2-1/2 inches flat long bill attached on front crown. 5 inches deep crown with 4 panels, plaid lined inside. Available in black, dk/grey, khaki and lt/grey. I've searched for a long time for extra large hats. 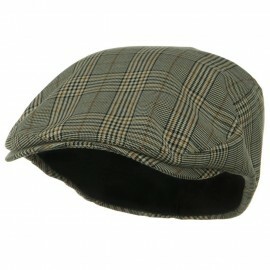 I'm very pleased to find a source of hats that fit for reasonable price. 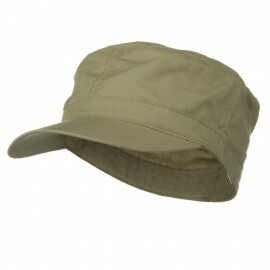 Thank you..
Our Big Size Washed Canvas Ivy Cap offers a plain and simple design, as well as a comfortable and easy fit. 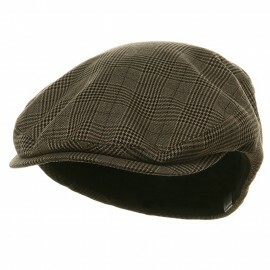 Made from 100% cotton, this washed finish canvas flat cap is ideal for any outings. 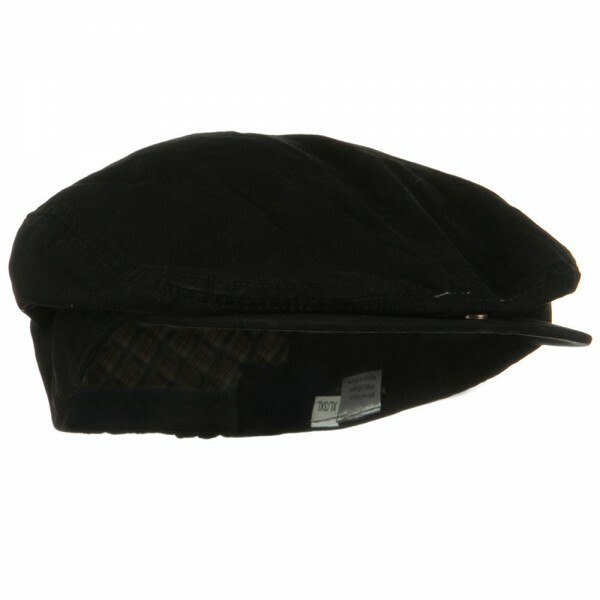 It fits from XL to XXXL, as it is one size with an elastic band closure hidden inside the back of the hat. The bill can be snapped on and off as well. 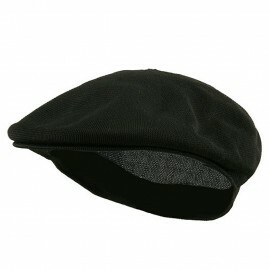 Hat is made with a medium-weight canvas; it feels cool and soft.